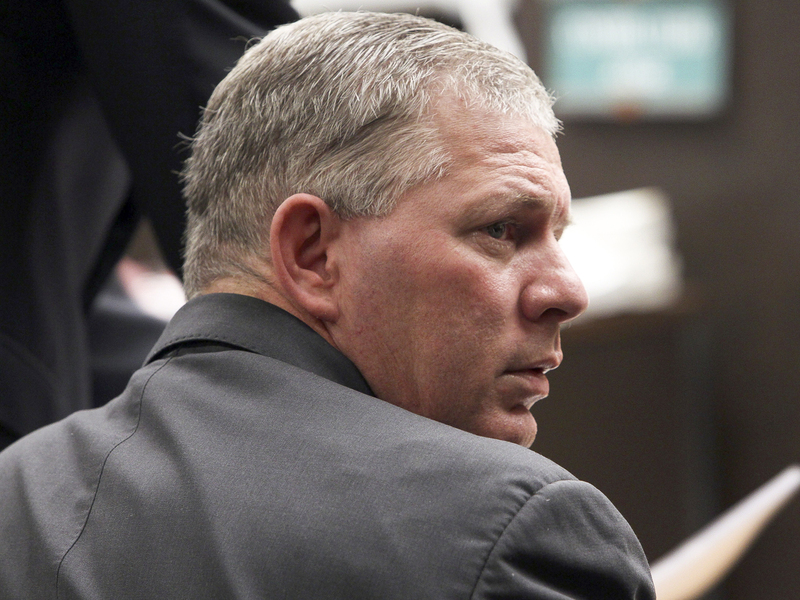 LOS ANGELES Former All-Star outfielder Lenny Dykstra was sentenced Monday to 6-1/2 months in prison for hiding baseball gloves and other heirlooms from his playing days that were supposed to be part of his bankruptcy filing, capping a tumultuous year of legal woes. U.S. District Judge Dean Pregerson weighed Dykstra's battle with drugs and alcohol versus the crimes he committed and opted to give the ex-big leaguer a lenient prison term, but saddled him with 500 hours of community service. He also ordered Dykstra to pay $200,000 in restitution. The sentences will run concurrently and Dykstra could be released by mid-2013, Pregerson said. Prosecutors sought a 2-1/2 year sentence after Dykstra pleaded guilty earlier this year to bankruptcy fraud, concealment of assets and money laundering. Court documents show Dykstra said he put an oven, sconces and chandeliers into a storage unit, but prosecutors said he actually sold the items for $8,500. Then Dykstra went to another house, where his ex-wife lived, and sold a cache of baseball memorabilia to a Las Vegas dealer for $15,000 and pocketed the proceeds. Deputy federal public defender Hilary Potashner said Dykstra has battled drug and alcohol abuse that date back to his playing days when he took painkillers. Dykstra was arrested last year by Los Angeles police, who said they found cocaine, Ecstasy and synthetic human growth hormone at his home. As part of the grand theft auto case, prosecutors dropped 21 counts against him in exchange for his no contest plea. Potashner added that, when Dykstra ran into financial troubles several years ago, he became a person who was out of control.